This app is really a great innovation. 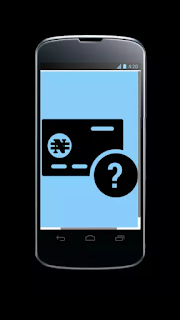 its going to save a lot of people the hassle of having to visit bank's customer service just to verify a bank account details and also reduce the no of occasions where money is mistakenly sent to the wrong account no. If you have ever been in any of the situation listed above then you will understand better how stressful and annoying it can really be when you are trying to send money to an account no you are not totally sure of. But with this new app, you can easily verify any bank account details irrespective of the bank right from your mobile phone. ==> You cab easily verify the authenticity of any bank account. ==> With this app, you don't have to worry about sending money to the wrong account no. ==> It saves you the stress of having to visit customer care whenever you want to verify any bank account. ==>> Download the app and install. ==>> Launch the app and Select the particular bank name. ==>> Enter the10 digit of the Nigerian Bank account no you want to verify. ==>>Click on verify and the account name will appear. To download, just click on this LINK.